After breakfast head west for Masai Mara Game Reserve. After lunch proceed for an afternoon game drive in the game reserve which is Kenya's finest wildlife sanctuary. Including migrants, well over 450 species of animals have been recorded here. Although July, August and September are the months when the Mara plains are filled with migrating wildebeest and zebra, there is also resident wildlife year round. The famous Maasai tribesmen live within the dispersal area of the game reserve. Dinner and overnight at Mara Sopa Lodge or Sianna Springs Luxury Tented Camp. Morning and afternoon game drives in the Maasai Mara. 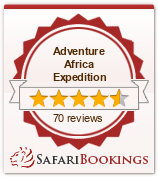 Meals and overnight at Mara Sopa Lodge or Sianna Springs Luxury Tented Camp. After breakfast proceed northwards to arrive in Lake Nakuru National park in time for lunch. Afternoon game drives in the park. Dinner and overnight at Sarova Lion Hill. Full day in Naivasha where you take a rests and have a boat ride in the afternoon. Dinner and overnight at Sopa lodge. Full day game viewing at Lake Nakuru National Park, where you will have a chance to visit a unique sanctuary catering for a sizeable number of the endangered rhinoceros and the Rothschild giraffe. Waterbucks as well as the predators such as the lion and leopard are common at the park. Flamingoes are also plenty at the lake. Also to be seen is a myriad different variety of birdlife in and around the lake. Out span hotel in Nyeri. Spend the whole day in the hotel as you wait for the next day to travel to Amboseli. Depart in the morning and drive south to Namanga, the Kenya/Tanzania border to arrive in time for lunch. After lunch enter into Amboseli National Park with a possibility of seeing game on the way to the campsite. Dinner and overnight at the lodge. Amboseli National park is one of the most popular wildlife sanctuaries in Kenya. It is situated close to Kenya. It is situated close to Kenya- Tanzania border, The Park lies at the foot of Mt. Kilimanjaro, the highest mountain in Africa (5,896m) whose snow-capped summit presents a splendid view on clear days. Amboseli National Park is often referred to as "The home of Elephants' some of the largest Elephant herds are found here. The Game Park also contains vast groups of Zebras, Wildebeests, Giraffes, Buffalos, Hippos and Antelopes. Also to be found in Amboseli are lions, leopards, Cheetahs, Rhinos and many species of plain game. Morning drive via the Shaitani lava flow to Tsavo West National Park. Afternoon game viewing. Overnight Kilaguni Lodge. Have the whole day exploring the park dinner and overnight at Tsavo east Wildlife lodge. Day 13: Leave Tsavo and drive to Mombasa where you will have your beach holiday’s dinner and overnight at whitesands beach hotel. Linked to Mombasa by the Nyali Bridge, the North Coast is easily accessible from Mombasa Island and offers long stretches of idyllic beaches fringed by swaying palm trees. Evening entertainment abounds both in resort and also in the availability of a wide selection of bars and restaurants. The North Coast resorts are ideal for those who would like to combine the tranquility of their resorts with the opportunity to try out different bars and restaurants, and also for those who require their resorts to be a short journey away from the airport and Mombasa Island. The South Coast is about an hour's journey away from the airport and requires a ferry crossing. The journey is well worth it however, as the South Coast beaches are amongst Kenya's finest. The majority of resort developments is on Diani beach, a 10 kilometre long stretch of talcum white sands lapped by crystal clear water of the ocean. Around Diani beach, there is some development of shopping centres, bars and restaurants. Malindi, just north of Watamu, was an important Swahili settlement in the 14th century, and later on became the centre for Portuguese operations on the East African coast. Malindi is now a popular resort town with good snorkeling, diving and deep-sea fishing. Watamu has an exceptional shoreline and features the Watamu Marine National Parkclose by. The coral reefs fringing Kenya's coastline harbor, an abundance of colorful marine life, and ensure safe swimming in the glorious water of the Indian Ocean. A full range of watersports are available from most resorts on the coast, although Watamu is renowned for its superb diving, and deep sea fishing. Day 19: Leave Mombasa in the morning by road or by air and arriving in Nairobi . Dinner and overnight at marble ark hotel. Founded at the turn of the 19th Century, Nairobi has grown from a small railway outpost to a major cosmopolitan center. It is the capital of Kenya and the largest industrial and commercial city in East Africa with a population close to 3 million. Nairobi has a temperate climate all year round with warm days and cool nights. A guided city tour includes a visit to the famous Nairobi National Museum, the adjacent snake park, and Uhuru Park where one gets a splendid view of the city of Nairobi. Day 22: The Nairobi National Park is only 7km from Nairobi City center. The small park (113sq. kms) contains all the major animal species with the exception of the Elephant. The sight of wildlife grazing majestically against the backdrop of the city skyline is a pleasant experience. Close to the Main Entrance of the Game park is the Nairobi Animal Orphanage, founded in 1963 to provide a home for injured and orphanage, founded young animals, Here the animals are nursed to good health and then released back to the wild. From the verandah of the stylish Range’s Restaurant adjacent to the orphanage, one can view the animals in their natural setting. The verandah overlooks the floodlit waterhole. Water hole, favored by many of the park wildlife. The best time for game drives in the Park is early in the morning or late in the afternoon. Drive towards the Ngong Hills and pass the Ngong village to the Karen Blixen Museum, for many years, her home. Karen Blixen Museum is open to the Public every day (9.30 am to 6pm) including weekends and public holidays. Located 10km from the city centre, the Museum belongs to a different time period in the history of Kenya. The farm house gained international fame with the release of the movie 'Out of Africa' an Oscar winning film based on Karen's an autobiography by the same title. Visitors are encouraged to be at the Museum by 8.00 am - 5.30 pm. Guided tours are offered continuously. A museum shop offers handicrafts, posters and postcards, the Movie 'Out of Africa', books and other Kenyan souvenirs. The grounds may be rented for wedding receptions, corporate functions and other events. Karen Blixen Museum was once the centre piece of a farm at the foot of the Ngong Hills owned by Danish Author Karen and her Swedish Husband, Baron Bror von Blixen Fincke. Day 24: Carnivore Experience Guaranteed daily at 12.30 p.m. and 7.00p.m. Nairobi has many restaurants offering varieties of cuisine. We recommend a dinner or lunch at the Carnivore, which is famous for the succulent stew and barbecue dishes of game meat as an excellent compliment to a holiday in Kenya; especially as an excellent welcome, or farewell dinner. The Bomas of Kenya is located 8 kms from Nairobi City center. ‘Boma” is a Kiswahili word for a homestead or fort. The place is adorned with many homesteads depicting Kenya’s cocktail of tribunal cultures. This is a cultural tour that introduces you to the traditional village life of Kenya’s major tribes. The highlight of the visit is the afternoon performances by traditional dancers and professional acrobats inside the center’s magnificent arena.